Nonprofit managers and social entrepreneurs can make convincing presentations if they let their cause speak for itself. Nonprofit professionals and social entrepreneurs may give too much. Nailing down every nuance of a presentation to a donor or investor may kill the deal. What people really appreciate and respond to is passionate, personal, and less prepared presentations. Nonprofit leaders -- including board members -- and social entrepreneurs need to let their causes find their own voices. 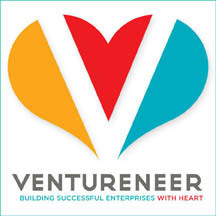 A free online seminar from Ventureneer, Giving Voice to Your Cause: How Social Entrepreneurs, Nonprofit Leaders Can Be Convincing will give nonprofit managers and social entrepreneurs five tips to make their causes resonate with audiences. The webinar will take place Tuesday, August 10, 2010, 1pm - 2pm ET and will be taught by Pamela Ziemann, author of Giving Voice to Your Cause. Ziemann is much more than a communication expert. She guides her clients to connect their inner passion with their outer cause. She helps them articulate their message in a way that’s simple, memorable and powerful. "When presented with passion, social causes can speak for themselves," said Geri Stengel, founder of Ventureneer. "The cause itself can attract donors and investors." Over-preparing dampens spontaneity and severs that all-important connection with the audience. Whether speaking to one person or one thousand, passion counts. Tap into that passion and people will listen; they'll want to help. Externalize the passion they feel for their cause and inspire others to action. Trust their intuition, increase self-confidence and make a difference NOW! Emotionally connect, build trust and cultivate meaningful donor relationships. Be clear and organized when delivering their message. Help donors and investors say YES! The free webinar will useful to social entrepreneurs; nonprofit management and directors; nonprofit board members; and community outreach staff. For more information, go to Ventureneer's website.